Coffee is perhaps the most controversial of all known drinks. Its benefits and harms are discussed by Europeans for centuries. And old Arab proverb says: "the hospitable man's coffee pot is always full". In Ethiopia, the birthplace of coffee, start the morning with a Cup of this drink are allowed only to the people, so to say, advanced age. Ethiopians believe that young blood is already hot to even "warm up" her coffee. Why one half of humanity can not do without coffee to live, and the other is struggling to prove its detrimental effect on health? It all depends on the dose. Coffee – drink, of course, useful. It contains vitamin PP, organic acids, antioxidants, iron, sodium, phosphorus, magnesium plus caffeine. As for harm: coffee depletes the nervous system, removes calcium, potassium and vitamin B1, and also dehydrates the body. So, up to three cups a day of coffee is invigorating, provides energy, slows aging, normalizes metabolism. Of course, we are talking about natural ground coffee without sugar and heavy cream. After three cups per day of coffee causes insomnia, a feeling of anxiety, increases blood pressure, can cause nausea, vomiting, dehydration and provoke a heart attack. By the way, in the coffeehouses of Turkey, Arab countries and Europe, along with the coffee always bring water to restore water balance and prevent dehydration. Everyone is different, and the effect of coffee on the body everyone's different. But even if eight cups of coffee you have no shaking hands, no sweaty palms, no heart palpitation, and appears only cheerfulness and good mood, this does not mean that coffee in the quantities you benefits. Other negative consequences that occur over time due to systematic overuse of coffee – dull hair, splitting nails, and worsening of cellulite. Known even deaths, though not from coffee, but from an overdose of caffeine. A couple of tablespoons of concentrated powder plus caffeine energy drink — can lead to death. And the lethal dose of coffee for an adult, according to scientists starts from 10 liters of coffee per day. They contain 10 grams of caffeine, which is enough to go to the light. 1. To eat and take a walk in the fresh air. Then a good night's sleep. 2. To drink plenty of water (at each drank a Cup of coffee should have a glass of clean water). 3. There are potatoes and bananas to replenish potassium. 4. 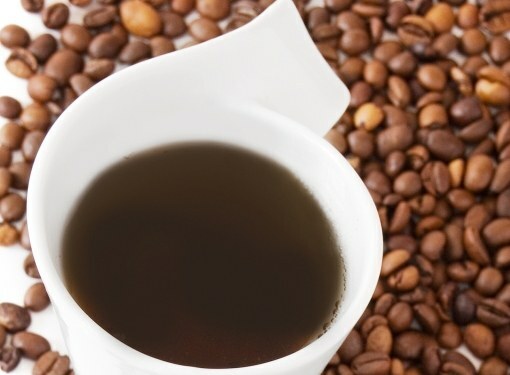 If you regularly drink a lot of coffee, fill the lack of calcium in the body products that contain this trace mineral. Eat cheese and dairy products. 5. To replenish vitamin B1 must be consumed liver, cereals and branny bread.